I married my high school sweetheart, we have been married for 43 years and have 5 children, my sons served missions, two out west and one in South Korea. I love my job and love helping people!! 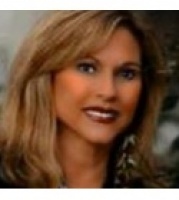 Hi Marsha, I just came across your profile on memberagents.com. I'm interested in purchasing a home in your area and would like to talk to you about possibly helping me find a nice home to purchase. Please let me know if you're available to help out. Thanks!